Scientists want to make a cosmic magnifying glass. Each day we get closer to exploring farther reaches of our solar system and universe. We have come incredibly far and seem to make progress with each day. However, our ability to survey the outer corners of the cosmos is limited by our current telescopic technology. Now, modern telescopes are nothing to scoff at. As the iconic Hubble Telescope is phased out, the James Webb Space Telescope will continue to capture the beauty of outer space. But scientists have figured out a way to push the boundaries of telescopic technology even further: by turning the Sun (yes, that sun) into a telescope. To use the sun as some sort of massive magnifying glass, scientists have deferred to Einstein’s Theory of Relativity. According to the theory, large objects (like the Sun) bend the space around them, and so anything traveling in that space (even light) bends as well. In a phenomenon known as gravitational lensing, if light is bent around an object in a particular way, it can magnify the space (quite literally, space) behind it. Scientists have previously used gravitational lensing to help telescopes to be more effective, but now, researchers aim to use this distribution of matter as a “telescope.” This new approach certainly has its pros and cons. In order to harness this lensing, the necessary instruments would need to approach pretty close to the sun, in order to reach a target 550 AU away. While humans and probes have traveled much closer to the sun than this, and plan to do so in the future, this difficult journey would take a long time and the equipment would have to be somehow “placed” into the middle of space. However, if this is pulled off, it would be a massive leap forward in imaging technology. 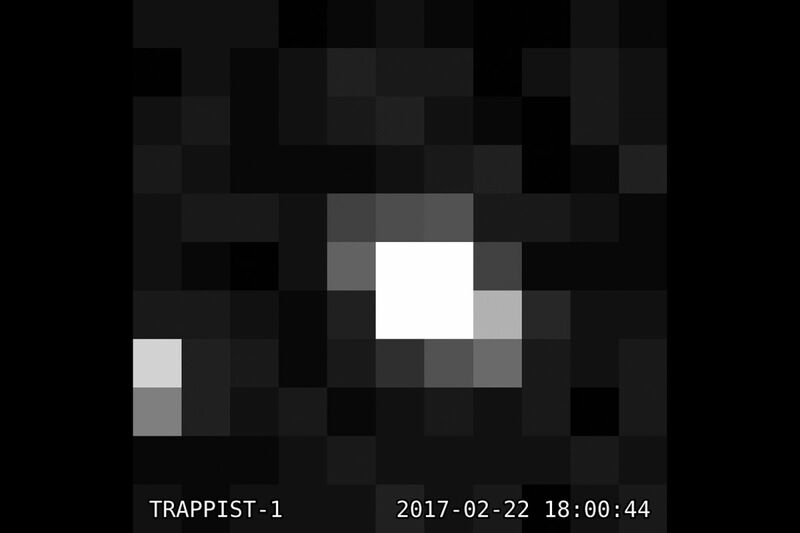 We could finally get a closer, clearer look at Trappist-1, and would be that much closer to discovering life outside of Earth. The technology that we use to capture the incredible images of space is improving every day. Modern telescopes will continue to advance, becoming more powerful, more precise, and more detailed. So, while the idea of a sun-based telescope is incredible and could yield unprecedented images and information, even if it doesn’t pan out, we will most certainly continue to find improved ways to look at the Universe. The Sun, the Earth, and a Few Billion Years: Will Our Planet Still Be Around?